Suzanne has sung professionally for more than 15 years and is currently a member of the a cappella group Shades of Blue. She and her husband have six children and spend their free time biking around the El Dorado Hills and participating in triathlons. 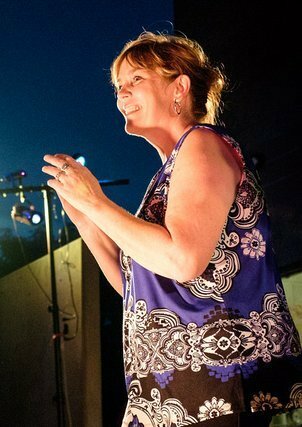 Suzanne lists such diverse musical influences as the Manhattan Transfer, Aretha Franklin, Diana Krall, and Bonnie Raitt.